Thought I'd add one of mine. A full explosion inside the body of this funny car. I bet that wasn't the kind of funny he was hoping for. Favourite sequence from this year (so far....) , not the sharpest as they were "grab shots"
Thanks. The riders called Chrissy Rouse and he was absolutely fine after this. Its amazing how they get away without injury after crashing so spectacularly, I would have to have a couple of weeks of work if that was me. Not really sure how or why the front end let go in such a way but. . . . . 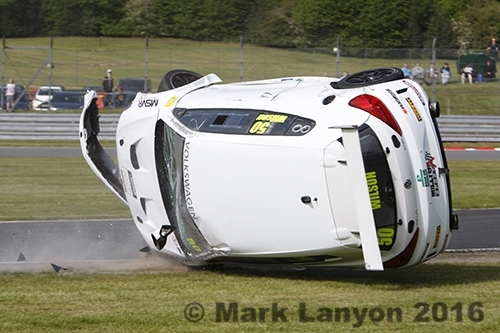 I didn't quite get the bike but Danny Buchan caused his own dust cloud at Brands Hatch on Saturday !! 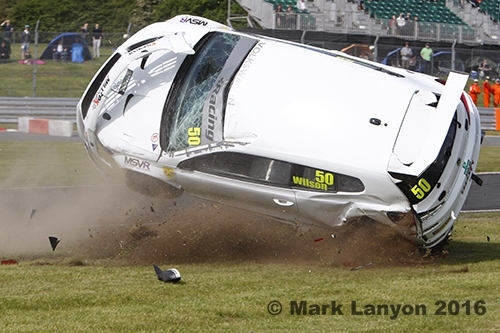 This is a sequence shot on my old Nikon D40 at Donington in 2009. The race, if I recall was the Rookies Cup 125cc. It was lap 1. I didn't get the rider's / faller's name.